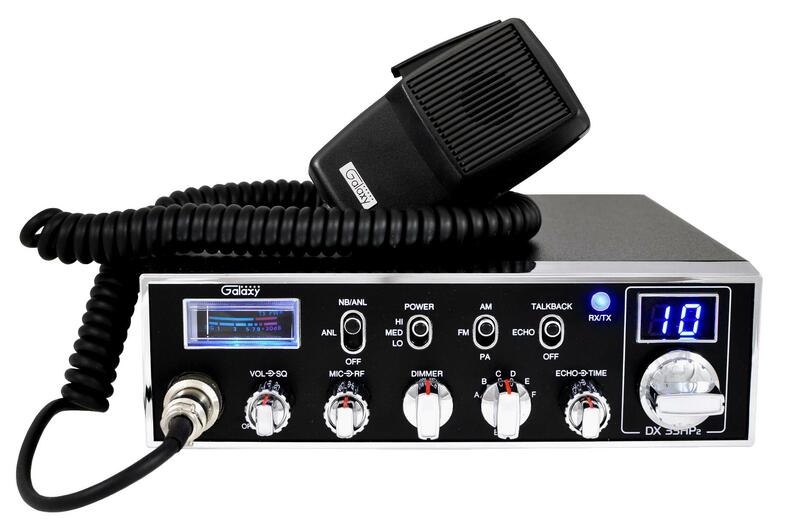 Basics:10 Meter AM/FM Amateur Radio with 6 bands of operation, illuminated S/RF meter, receive/transmit indicator, factory talkback and echo. Aprox 100% more output than the DX33 of prior days and a blue LED display. Switches:NB/ANL on/off, RF PWR-L/M/H, Talk Back switch, echo on/off, channel and band selectors. 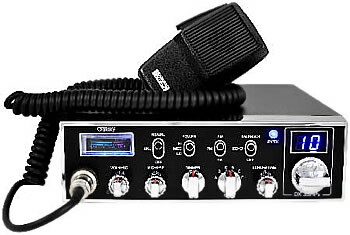 Included Accessories: Stock mic, mic hanger clip, mounting bracket, side mounting screws, power cord, and owners manual. Check the box to the left of the item or items you want to purchase, then click the add to cart button. If you would like more info on the modification or accessory before purchasing just click on the link below (The blue text). The performance tune up is a must in order to perform. Note: The purchase of services and other accessories is not mandatory.